Sarah and James got married in spring with a Kirknewton Stables wedding, which is set in the grounds of a country house estate. They had their ceremony at Dalmeny Church, which is a local church. It was such a happy day and the sun even made an appearance! If you’re planning a barn or stables wedding, get in touch! Sarah and James got ready at a local hotel. 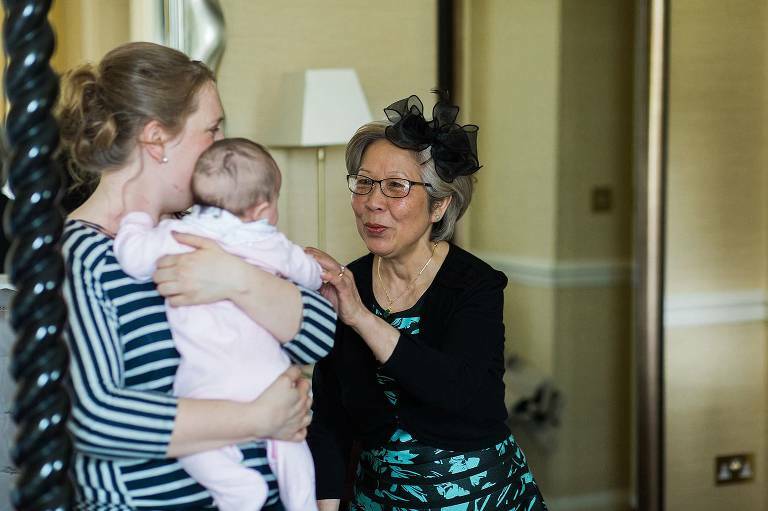 Sarah’s bridesmaids were close at hand as was her mother, especially to help out looking after their baby daughter. Sarah was extremely chilled and looked absolutely stunning in her fitted lace dress. James wore tradition Scottish dress in his family tartan. The ceremony was a beautiful service in a nearby church in Dalmeny. The church is in a little village near Edinburgh with views of the Forth Bridge. The reception was in the refurbished stables at Kirknewton House Estate. They chose the venue because it was set in beautiful grounds and was very relaxed. It was a relaxed wedding, with family, friends, lots of children and plenty of fun. 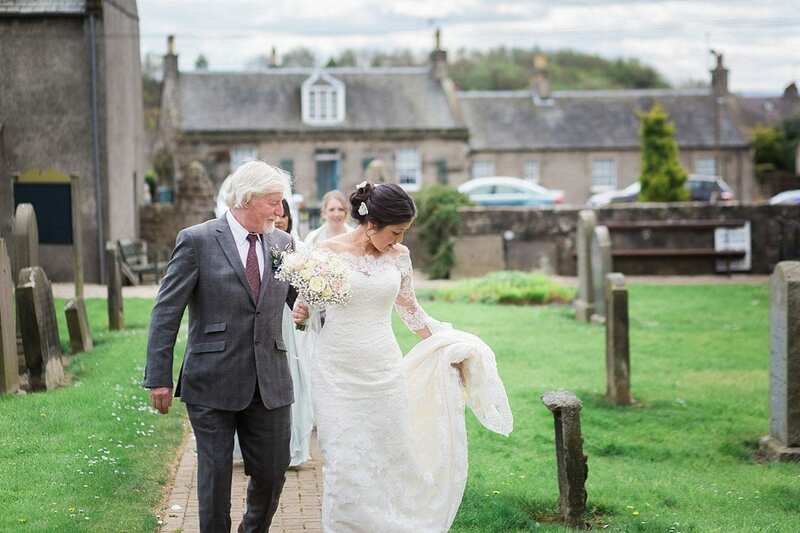 Kirknewton Stables is an exclusive and intimate venue on the outskirts of Edinburgh. The Stables are a wonderful blank canvas that give you the opportunity to create your perfect day your way.The stables doors open up into a expansive walled garden perfect for the drinks reception. Beyond the walls are woodland walks and extensive gardens a glorious backdrop for portraits. They had a drinks reception in the afternoon, and a live band in the evening. They decorated the venue with flowers and Edinburgh Gin, because well, they were in Edinburgh and who doesn’t like gin?. Sarah and James’s wedding was so chilled and just the happiest occasion. Here’s their wonderful wedding!